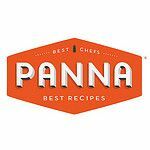 On Tuesday, we kicked off our third video series with Panna, a subscription cooking app and website dedicated to sharing recipes from master chefs in HD video -- and we previewed our third issue, in which Amanda made fiveandspice's "Greek" Lamb with Orzo. Today, we're sharing more bonus footage: Amanda shows us a simple trick to achieve perfectly browned meat. Interested to see the whole stew recipe come together? Watch the full-length video on Panna's website, and check out Amanda's other tip video on crushing tomatoes by hand and salting pasta water.